As we all know, the battle between Naruto and Sasuke ended a few days ago, and fans thought that it would mark the end of the series. However, it didn’t turn out to be what they expected as a few more episodes were released after it, which covered the after events of the battle and the great war. Now, there are various rumors claiming that the anime series will end soon. This news is definitely heart breaking for those who have been following the series from the start. Saying farewell to their favorite characters won’t be an easy thing to do. However, despite the sadness, fans still have something to look forward to. That’s right, Naruto Shippuden fans will be happy to know that three Naruto Epilogue Novels, Shikamaru Hiden, Konoha Hiden & Sasuke Shinden will get anime adoption real soon. Along with this, another thing which will lighten up the mood is that Naruto’s Boyhood Arc (Shōnen Jidai-hen) will be aired on October 20, 2016. This exciting announcement was made through the 46th issue of Shueisha’s Weekly Shonen Jump magazine, where a few details regarding the Boyhood Arc were shared. As its name suggests, the Boyhood Arc will give fans a closer look at the childhood days of Naruto, as it will take us back in time. 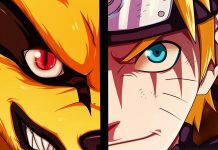 As the Boyhood Arc will showcase a young Naruto, the Nine-Tails will be sealed within him. As for the opening theme song, it will be sung by Anly, while the ending song, Tabidachi no Uta, will be sung by Ayumikurikamaki. Both are known for some of their notable works, so you can expect to hear some good music. The preview episode of Naruto Shippuden Episode 480 showed a flashback from some arc. This hinted that it will feature the wedding the Naruto and Hinata. 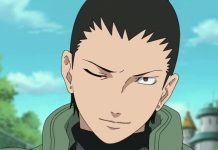 Manga readers know that the ending of Naruto Shippuden had a time skip of 15 years, in which many big events took place. Included in those events was the wedding of Naruto and Hinata, the love story of Sasuke and Sakura and Kakashi becoming a Hokage. None of these events were given any importance throughout the series. This means that the Boyhood arc will also give fans a glimpse at these events. However, fans won’t be able to explore these events in detail, as the anime series will soon reach its end. The last two chapters of the manga also completely focused on how Naruto became a Hokage. This means that there might be some extra episodes which will focus on such events too. Naruto Shippuden Boyhood Arc will be aired on October 20. Previous articleIs AMD Prepping A Polaris Refresh For RX 465, 475, And 485? 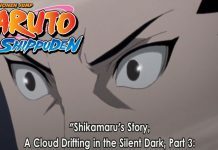 Naruto Shippuden Episode 492 Spoilers: Shikamaru Gets Rescued?